While the study suggests that the timbre of the voice is what’s influencing the tomatoes, I’m thinking maybe women are better at selecting tomato-friendly topics of conversation. For the life of me I don’t know what I’d say to a tomato, but I’m sure I’d skip subjects like the Lakers’ winning streak or the benefits of owning a ’65 Mustang. Call me biased, but I’m not sure a man would be so selective. Based on the results of the tomato study, I’ve decided to speak to the mint I planted last month. While I haven’t killed it, which is my usual style, it isn’t exactly thriving. I’m thinking it’s time for a conversation. I will choose a mint-relevant topic, perhaps L.A.’s punishing summer sun, or the weight of butterflies. I will avoid sharing my recipe for minty iced tea, which involves ripping mint leaves from the stem, crushing and mincing, and otherwise beating them into releasing their flavor. I’ll keep you posted on how things grow. Bring four cups of wter to a boil. Meanwhile, place the tea bags and the mint in a heat-proof pitcher. Let the water cool slightly and then pour it in the pitcher. When the tea is quite dark, remover the tea bags, leaving the mint leaves in the tea. Cool the tea to room temperature, then stir in the lemonade and the honey. Cut the orange in half crosswise. Extract the juice from one half and add it to the tea. Cut the other half into thin slices and add them to the pitcher. Refrigerate the tea until it is well chilled, at least two hours. 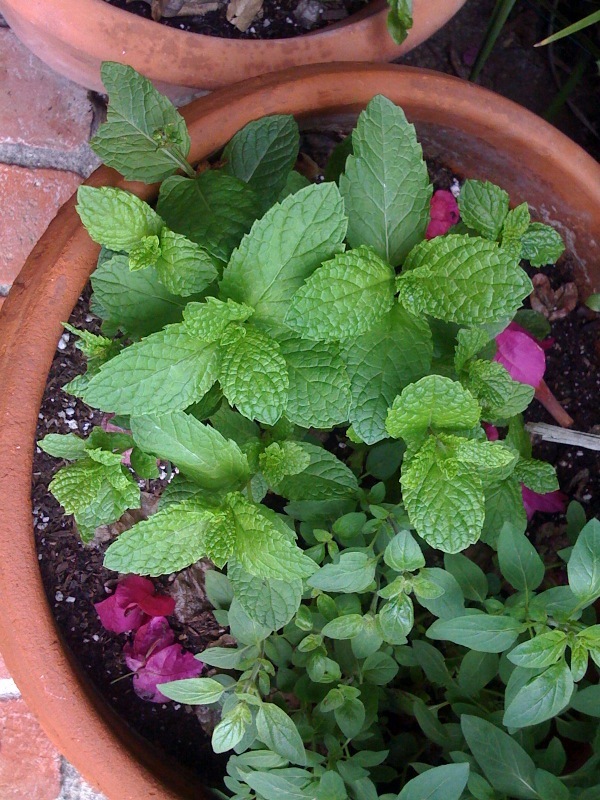 Do not drink it while you are talking to your mint plant. This entry was posted on Thursday, July 16th, 2009 at 4:20 pm	and is filed under Let Me (Not) Entertain You. You can follow any responses to this entry through the RSS 2.0 feed. You can leave a response, or trackback from your own site. Honey, you need me to come over and give your mint a good talking to. We are up to our eyeballs in it. And catnip. Which I believe is in the mint family. I know, i have another variety of mint growing like mad, strangling my roses, but this little breed in the pot is such a princess! BTW: a tip if you have too much mint: throw fistfuls of leaves in your bath. You and your bathroom will smell divine. Oh, my goodness. That is an *awesome* tip! We do, indeed, have too much mint and I’ve been struggling with the number of mojitos I might have to make this summer! Thank you! And, thinking further… We have to bathe our cat Parker, who is 20 lbs (down from 23) and can’t lick, you know, everything because he can’t reach down there. He will smell *delicious* after a mint bath! What I’m looking for is a really GOOD lemonade recipe that is not 2% lemon, 98% sugar. Every lemonade drinker I know, throws in a can of the frozen stuff, see above, a sprig of mint and one has to swallow ten glasses of plain water to wash it out! 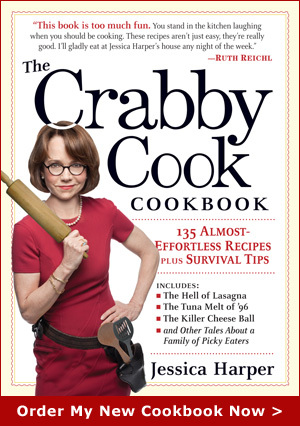 I know you’ll come up with a stellar recipe, Crabby Cook that you are! I can take care of the mint – at least so far.